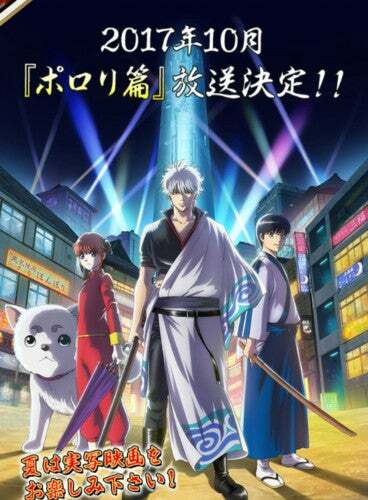 The Official website for the anime adaptation of Gintama has announced that a new season for the anime will premier this October. At the same time the Animedia magazine abnnounced on twitter that their cover will have more info about this Gintama´s new season. On similar news the Movie Live-Action will premier on July 14.